Unfortunately, storage has mostly been treated as an afterthought by infrastructure designers, resulting in the over-provisioning and underutilization of storage capacity and a lack of uniform management or inefficient allocation of storage services to the workload that requires them. 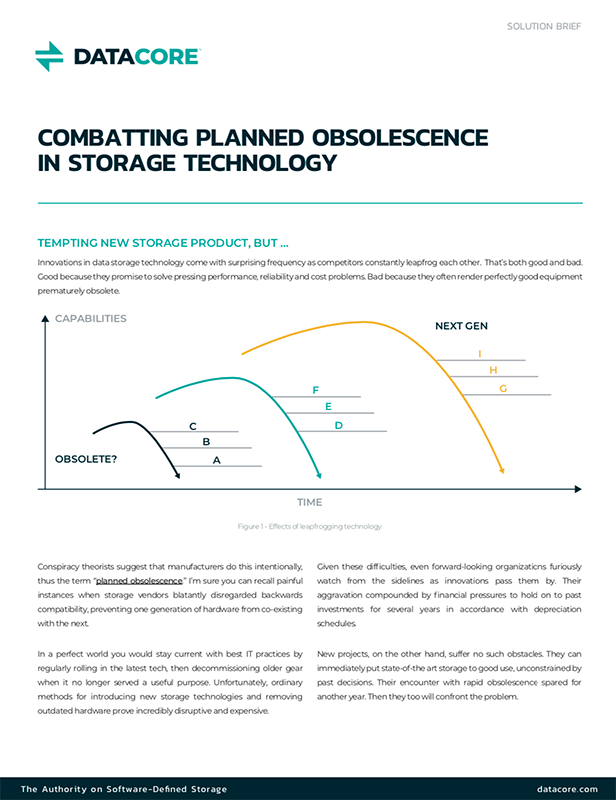 This situation has led to increasing capacity demand and higher cost with storage, depending on the analyst one consults, consuming between .33 and .70 cents of every dollar spent on IT hardware acquisition. 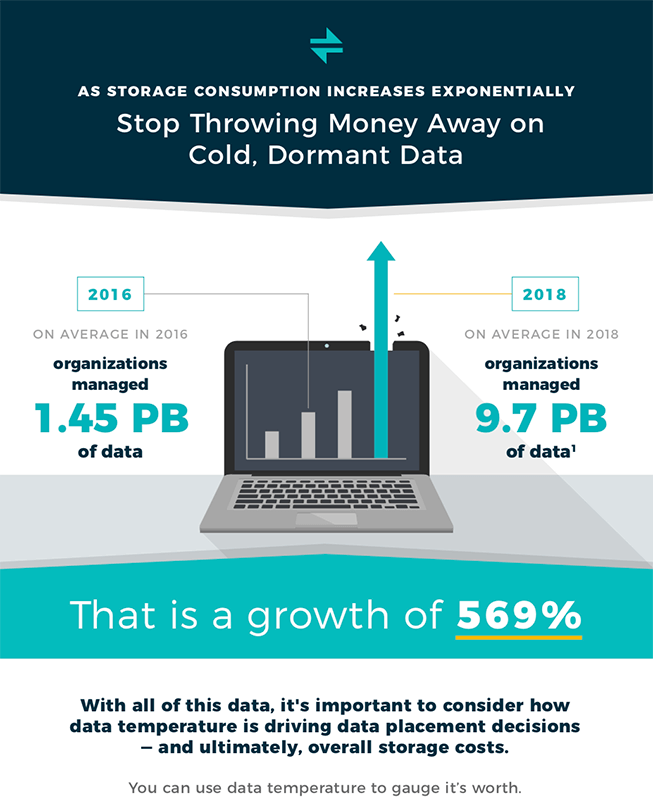 At the same time, storage capacity demand is spiking–especially in highly virtualized environments. 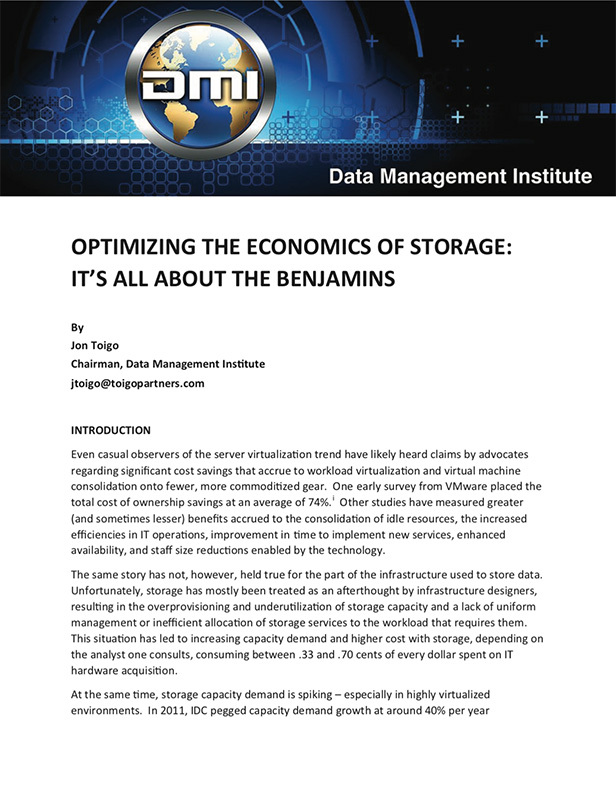 Bottom line: in an era of frugal budgets, storage infrastructure stands out like a nail in search of a cost reducing hammer. This paper examines storage cost of ownership and seeks to identify ways to bend the cost-curve without shortchanging applications and their data of the performance, capacity, availability, and other services they require.